I purchased the 15″x8″ basket at Family Dollar for under $2. The 3/8″ wooden dowel was from Home Depot for $0.98. I per-measured the basket and cut the wooden dowel 2 inches larger (two 17″ pieces) at the DIY cutting station at Home Depot. I’m so excited I got to use a saw! 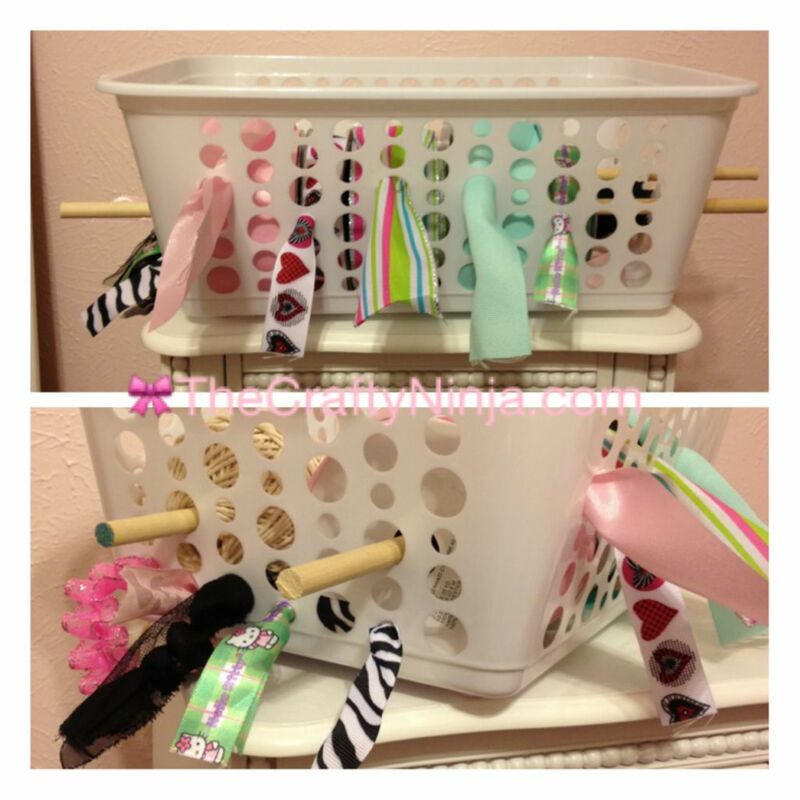 This basket is large enough to fit two rows of ribbons. My loose ribbons are dispensed from the side. Cheap, Simple, Organized!